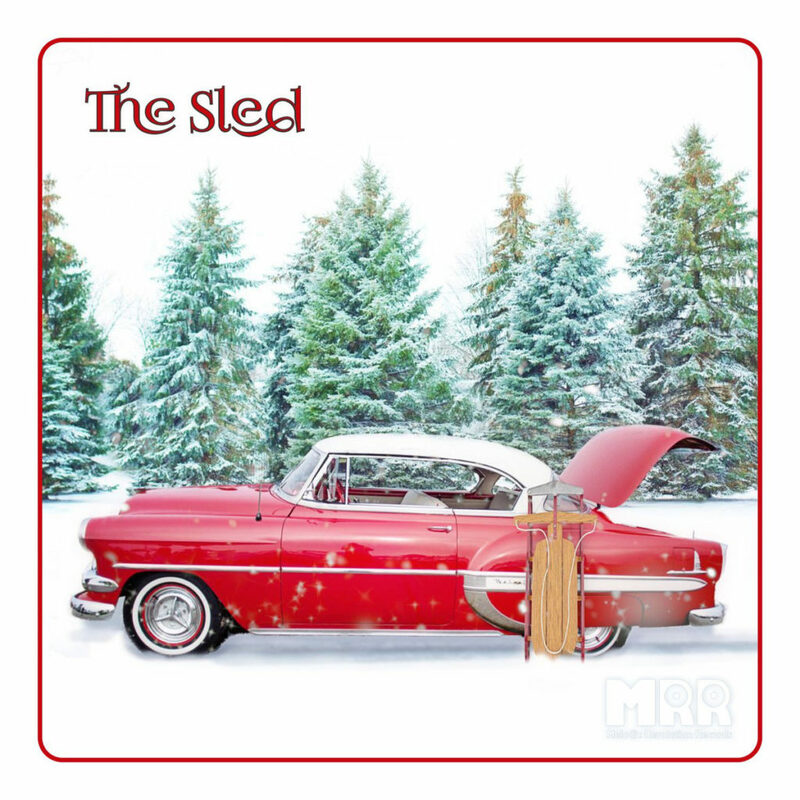 The Sled is our 10th-holiday album for charity. The Sled is a unique charity release, you cannot purchase this album with Dollars, Pounds Yen or Euros; something this valuable requires a giving heart. To receive your copy as a gift from Melodic Revolution Records (MRR) and with the kind permission of all of our contributing artists we ask you to commit a great act of kindness. Send us proof of you donating to your local charity of choice, it can be your time, or tangible goods such as blankets, food or clothing. Think outside of the box, donate your time at the local food bank, soup kitchen or shelter. Certainly, your local hospital would be grateful for volunteers or donate blood today and save a life. We would like to promote the good deeds of great citizens and with your permission, we will share your photos on our page set up this holiday season to spread the good news. The Sled will be released digitally on Monday, December 3, 2018, and we will stream it free through the end of January 2019. Each year we host a holiday release to showcase many bands and artists that you may not be aware of, but we feel you should be. The album will feature many styles of holiday music and original music; all of which will touch your heart and soul. May it inspire you – for in giving, we receive so much more. Jack is a Christian Progressive Rock solo artist based out of New York with two albums out to date. Andrew is an Award-winning Composer in the Pop and Rock and Progressive rock field, he has performed and collaborated with Tony Levin, Jon Anderson, The Tubes, Sound of Contact and, Ryche Chlanda, Circuline, Cell15 among others. Electric Mud – progressive rock music without the genre’s usual display of virtuosity with endless solos, but straight minimalist guitar riffs on a groovy bass foundation with expressive machine drums. BABAL reveal a dystopian, sideways view of life; their psych/art-rock approach calling up comparisons with Talking Heads and Patti Smith. The band have gathered great responses around the UK and Europe and have also played live soundtracks for Alternative Cinema presentations. Dr. Bill Rhodes is a musician, composer, producer, author, engineer, and he has been a product specialist for various keyboard companies since the early 1970s. Over the past 35 years, Dr. Bill Rhodes has released over 30 albums on 3 different labels. David is a Pop, and Rock Pianist & Composer that has released three solo albums to date. Don is a Pop, Prog, and Rock bass guitarist who also writes music for TV, and film. He is one of the earliest Stick, NS/Stick, and bowed guitar players. Andy is a Progressive Folk Singer-Songwriter residing in Northern Ireland who has collaborated with numerous musicians over the years including MRR’s Colin Tench. Originally a Power Trio that sounded like so much more, as of 2010, the band is a quartet… but still with the same melodic and symphonic tendencies in the best of Progressive Rock traditions. Darrel is a Rock, Pop, Prog, Multi-Instrumentalist, Pianist, Keyboardist & Composer from the UK, Currently a member of TEN (UK Melodic Rockers), writing, recording and performing with Nth Ascension (UK Prog-Rockers) and his own solo works. For full details to these artists, please follow their links.